Synthesizers give you the power to craft any sound imaginable with one tool, but that breadth of possibilities can be intimidating. With their extensive arrays of controls, synths can look more like the cockpit of a spaceship than a musical instrument to the uninitiated. The revival of modular synths, in the hugely popular Eurorack format, add an extra layer of potential confusion. By separating a synth’s functions and requiring initial patching to build even a simple sound, this world of sonic exploration can seem too intimidating to get started with. 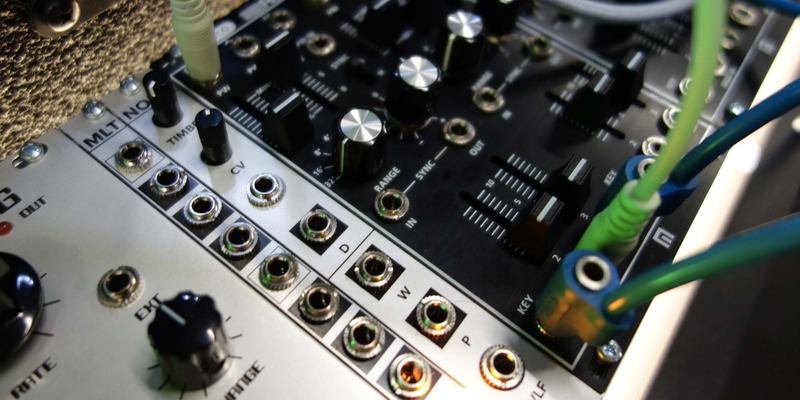 To help get you oriented, we’ve put together this basic overview of synth functionality to help you navigate a new monosynth, a vintage instrument or your first foray into the modular world. We’re going to explore these fundamentals in the context of an analog subtractive synth. These circuits remove elements of the sound as it passes through the signal flow; and while there are other techniques, this is what people typically think of when discussing synthesizers. Classics like the Minimoog, Prophet 5 and Jupiter 8 are all subtractive synths, and as this style drove the creation and refinement of synthesizers as a whole, as such these building blocks have broad applicability. The oscillator is the source of the sound, in subtractive synthesis we can think of this like the raw marble we’ll sculpt into our finished tone. This circuit converts DC power into an AC signal that fluctuates according to a particular pattern a given number of times per second. The pattern is the waveform, the number of times per second it cycles is the frequency, which is described in Hz. Human beings can generally hear frequencies between 20Hz and 20kHz, while oscillators can cycle well outside that range. Frequency can be described in musical pitches as well, with most Western music using a tuning of A4, the A above middle C, to 440Hz. It’s very important to note that the frequency control on an oscillator relates to the sound’s fundamental frequency, the root of the note that we connect with pitch. What gives sounds their unique character and makes, for example, a trumpet and violin playing the same note sound different, is described as timbre. Timbre is created by harmonics, less powerful frequencies arrayed above the fundamental. Some waveshapes, like the saw, are rich with harmonics, while others are simpler, like the pure sine wave, which contains only the fundamental frequency. We’re not going to go in depth into harmonics within this article, but it’s important to understand the difference between the frequency control on an oscillator, which can change the fundamental frequency of the signal, and the cut-off frequency control on a filter, which can filter out harmonics and affect the timbre of a sound, but not its pitch. In order to begin shaping our sound, we’ll carve out part of the signal with a filter. The filter is arguably the most critical component of the sound in subtractive synthesis. The steepness of a filter’s cutoff, how it reacts at different frequencies and the different ways it can resonate or drive a signal really form the core of a synth voice and can make two functionally similar filters sound quite different. When people refer to the classic Sequential Circuits, Moog or Oberheim sound, the particular filters on those vintage models are a huge part of what they’re describing. The most important aspects of the filter are the cut-off frequency, the resonance and the filter type. The most common type of filter in subtractive synthesis is the low-pass filter, which filters out everything above the cut-off frequency and lets everything below it pass. Other types of filters include the high pass, band pass and notch. The cut-off frequency can be moved around anywhere in the frequency spectrum to apply the selected filter. Again this is stripping out harmonics from the signal and not affecting the pitch of the sound. Applying a 1kHz high-pass filter to a saw wave at middle C3 will leave only the mid and high frequencies, resulting in a bright fizzy sound with absolutely no low mids or bass. Applying a 100Hz low-pass filter to the same saw wave will leave on the fundamental bassier frequencies and filter out the brighter upper harmonics. Resonance is another essential aspect of filters that can give them unique character. Also referred to as Q, this creates a boost around the cut-off frequency. A highly resonant low-pass filter would strongly amplify the frequencies (again, we’re talking about the harmonic frequencies of our signal, not the pitch) at the cut-off point and then slope off to remove everything above it. Moving this type of resonant filter around is the core of a wah-wah effect, for example. Regardless of filtering, most sounds don’t just immediately start and stop. When you strike a guitar string its volume fades from the initial picking, or a cello string that you bow gradually gets louder as you place more pressure on it. In order to implement changes on the volume of the instrument, we need to run it through an amplifier. Running the signal through an amplifier we can make it louder or softer as needed, similar to turning the volume knob of a guitar up or down to create a swell. This latest renaissance of synthesizers, most notably in Eurorack format, is growing quickly as more users discover the expansive and seemingly limitless nature of this interface. In a synthesizer we’re not limited to controlling filters and amplifiers with a knob or foot pedal though, we can use control voltage to affect parameters with other circuits. The amps and filters in synthesizers are Voltage Controlled Amplifiers (VCAs) and Voltage Controlled Filters (VCFs), and are designed to be affected by changes in voltage. Control voltage doesn’t create audible signal, but allows us to essentially turn knobs and change values, what is referred to as modulation, on other parts of the instrument. Our first basic modulator is the envelope generator. An envelope is generally defined by four parts: attack, decay, sustain and release. Some envelopes will omit sustain, add a hold parameter, or utilize simply attack and release, but the ADSR template is standard. Attack is how long the signal will take to reach its peak amplitude as set by the output level. Decay is how long it will take from the peak amplitude to decay to its sustain level. Sustain sets the level the signal will remain at as long as a key is pressed (or some signal keeps the envelope’s gate open), after the decay. Release defines the time the signal will take to return to zero after a key is released (or the gate closes). The four parts working together can mimic everything from the soft attack of a legato string ensemble to the immediate response of a struck marimba. Envelopes can be routed anywhere in the synth architecture, from the oscillator’s frequency to effects parameters, but the most common tasks are modulating VCAs and VCFs. With envelopes driving these circuits, synthesizers can manipulate the amplitude and frequency domain of sounds in intuitive ways that mimic the response of acoustic instruments. 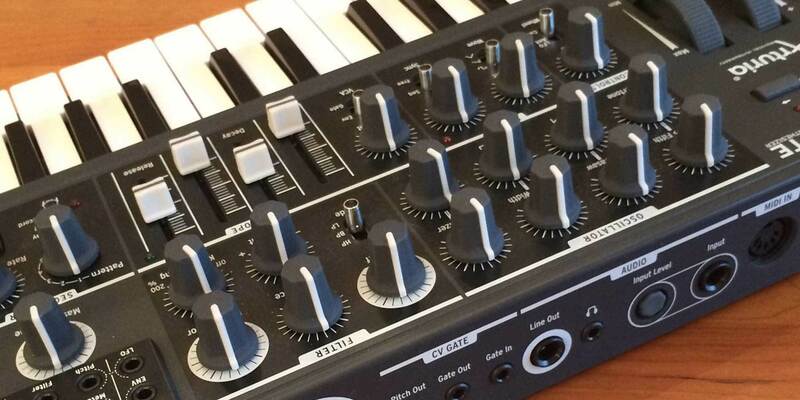 If you’re looking to make the leap into analog synthesis, there’s never been a better time, and we've put together this guide with the best starter synth options. The second most common type of modulator is the low frequency oscillator or LFO. These are oscillators that cycle below the 20Hz threshold of human hearing. While they don’t produce audible results, using control voltage they can manipulate other parameters at regular, repeating rates. Like their audible brethren, they have different waveshapes and variable frequencies. Triangle and sine wave LFOs at low frequencies can be utilized to slowly and subtly enact shifts, while saw or square wave LFOs at high frequencies can create jarring and pronounced effects. Like envelopes, LFOs can be routed to any parameter in a synth, but common applications including creating vibrato by modulating the frequency of an oscillator with a sine LFO, or adjusting a filter’s cutoff over time in a sustained pad style patch. The most important skill in familiarizing yourself with synths is learning to visualize what these basic elements can do to a sound. There are many variations of these elements, some tools we didn’t cover and an array of other synthesis styles outside of analog subtractive, but by using just these fundamental pieces there is a huge variety of sounds at your fingertips. Spend time exploring how running an oscillator through a VCF and VCA can be affected by routing envelopes and LFOs to the various controls, and you’ll quickly be on your way to a greater understanding of the building blocks of synthesis.